Today Google announced that there are more Frames available for Google Glass. It is now possible to wear Google Glass with prescription glasses. In the past the only way to wear Google Glass was if the user had contacts or 20/20 vision. It is amazing that Google is allowing users with prescription glasses the opportunity to use Google Glass. I can’t wait till Google Glass is released to the public. Right now the only way to get Google Glass is through Google’s explorer program. The company is also releasing shades that can be used with Google Glass. 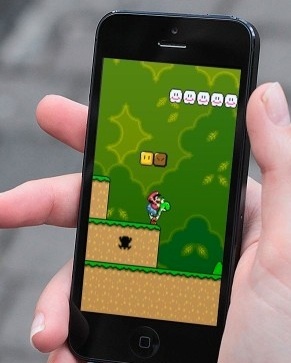 It has recently been revealed that Nintendo plans to bring some of their iconic characters to smartphones. However Nintendo has made it clear that they are not releasing full fledged games on smartphones. They plan on making mini games or “demos” for mobile devices. This is a bold move for Nintendo. The mini games will be completely free and will be created to draw players in. I think this is a smart move for Nintendo and a good way to market their first party titles. It is rumored that the next iPhone will have larger screens. The iPhone 5 has a screen size of four inches. The iPhone 6 is rumored to have a 4.8 inch display. I don’t understand why cell phones have to get any bigger. Soon my cell phone is going to be as big as laptop. If it was up to me I would make the next iPhone smaller and more compact. In this video I compare the Nintendo 3DS to the Nintendo 3DS XL. The Nintendo 3DS XL has screens that are 90% larger then the original 3DS. This is the main reason I wanted the 3DS XL. The system is also a lot easier to hold onto. Some of the other differences include the speaker quality, the 3D slider and the home/start/select buttons. The stylus on the 3DS and 3DS XL are also in different places. It is easier to use the stylus on the 3DS XL because it is placed on the right hand side of the system. Overall, the 3DS XL is a better system than the original 3DS. Roku introduced their first ever Smart TV at CES 2014. The interface is similar to the Roku set top box but also features input buttons for Blue Ray players and Cable TV. When the user first boots up the Roku Smart TV they will see a home menu where the user can access their favorite applications such as Netflix. The Roku TV will come out later this year and it will ship in 32 inches and 52 inches. I think Roku has an advantage over other Smart TV’s because of the Roku set top box. They already have an established TV product that has done well.